WARWICK, RI—Saying it wished it had touched down to rest its wings somewhere a bit less visible, a local bird told reporters Tuesday that it wouldn’t have landed on a ledge had it known everyone would make it into a whole big thing. “God, if I’d realized all these people would lose their goddamn minds, I never would have done it,” said the eastern bluebird, adding that there was no way it could preen its feathers in peace when it was being gawked at “like some kind of freak.” “I can’t just pretend people aren’t pressing their faces against the window and staring at me. Seriously, what’s the big deal? 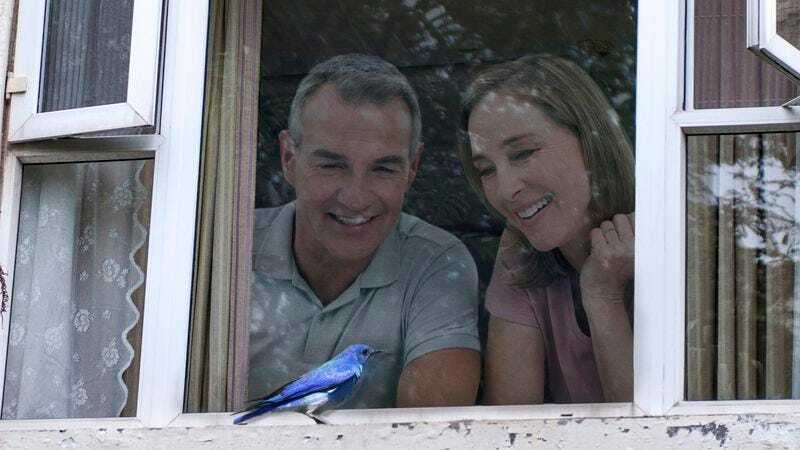 Like they’ve never seen a bluebird before?” At press time, the bluebird had discreetly perched on a tree limb high above the ground and reportedly could not believe how much attention a stupid cardinal on the ledge was getting.